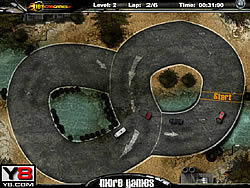 Challenge your friends in a multiplayer car race and try to beat other skilled computer players. Win all the 5 levels, and prove your supremacy in this Multiplayer Country Racers competition. Play now to see how funny it could be.